Dr. Li has expertise in providing assessment, counseling, and consultation services for children and families from multicultural backgrounds, particularly for Asian-American children and families. She conducts cross-cultural research on learning and creative problem solving, bilingual and bicultural issues in school, and counseling psychology practice, and she publishes in English and Chinese. She has also been exploring the impact of traditional Chinese culture and meditation on health and creativity. Dr. Li has been conscientiously using her multicultural knowledge to serve the community. She has served on the Northeastern University President Advisory Board on diversity issues–Asian group, chaired the Bouvé College diversity committee, reached out to underserved immigrant children and parents in the Greater Boston Area, and served on NASP multicultural committee and the Futures Task Force of School Psychology on Home-School Partnership. She has also served as chair of the national Council of Directors of School Psychology Programs (CDSPP) and the CDSPP practicum taskforce, and liaison of Massachusetts School Psychology Association to International School Psychology Association. 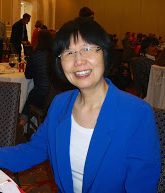 Currently she serves on the NASP bilingual-interest-group steering committee, the editorial board of the Journal of Educational and Psychological Consultation, School Psychology Forum, (SchoolPsychology) Trainers’ Forum, North American Journal of Medicine & Health (in Chinese: 北美医学与健康). She has also reviewed for a few other journals including Journal of Educational Psychology and SchoolPsychology Review. Li, C., & Fiorello, C. A. (2011). Evolving practicum issues in school psychology preparation. Special Issue: Current Issues in Training in School Psychology, Psychology in the Schools, 48 (9), 901-910. Chaudhry, S., Li, C. (2011). Is solution-focused brief therapy culturally appropriate for Muslim American counselees? Journal of Contemporary Psychotherapy,41(2), 109-113, DOI:10.1007/s10879-010-9153-1(work with doctoral students). Vasquez-Nuttall, E., Li, C., Dynda, A. M., Ortiz, S.O., Armengol, C., Walton, J., &Phoenix, K. (2007).Cognitive Assessment of Culturally and Linguistically Diverse Students. In Esquivel, G. B., Lopez, E. C. & Nahari, S. (Eds. ), Handbook of Multicultural School Psychology. New York: Taylor & Francis, Inc.
Vazquez-Nuttall, E., Li, C., & Kaplan, J.P. (2006). Home-School Partnerships with Culturally Diverse Families: Challenges and Solutions for School Personnel. Special issue, Journal of Applied School Psychology 22, 81-102. Li, C., Zhu, W., & Nuttall, R.(2003) Familial Handedness and Spatial Ability: A Study with Chinese Students Ages 14-24. Brain and Cognition, 51, 357-384. Li, C., Zhu, W., Zhao, S. & Nuttall, R. (2002). Spatial abilities and academic major: A study with Chinese undergraduates. Academic Journal of Capital Normal University, No. 2 (in Chinese), p.p.120-124. Li, C. & Nuttall, R. (2001). Writing Chinese and Mathematics Achievement: A study with Chinese-American undergraduates. Mathematics Education Research Journal, 13(1), 15-27. Li, C. (2000) Instruction effect and developmental levels: A study on Water Level Task with Chinese children 9-17. Contemporary Educational Psychology, 25, 488-498. Li, C. Nuttall, R., & Zhao, S. (1999). Effect of writing Chinese characters on success of Water-Level Task. Journal of Cross-Cultural Psychology, 30, 91-105. Li, C., Nuttall, R., & Zhao, S.(1999). A test of the Piagetian Water-level Task with Chinese students. The Journal of Genetic Psychology, 160, 369-380. Li, C. Nuttall, R., & Zhu, W. (1999). Writing Chinese characters and success on Mental Rotation Test. Perceptual and Motor Skills, 88, 1261-1270. Vasquez-Nuttall, E., Li, C., Dynda, A. M., Ortiz, S.O., Armengol, C., Walton, J., &Phoenix, K. (2007).Cognitive Assessment of Culturally and Linguistically Diverse Students. In Esquivel, G. B., Lopez, E. C. & Nahari, S. (Eds. ), Handbook of Multicultural Psychology. Li, C., Zhu, W., & Nuttall, R. (2001). Spatial and verbal abilities in visual art students: A study with Chinese undergraduates. In Columbus, F. (Ed.). Progress in Education 3, (pp.263-273). New York: NOVA Science Publishers. Li, C., Walton, J. R., Nuttall, E.V.(1999). Preschool evaluation of culturally and linguistically diverse children. In Nuttall, E.V., Romero, I., & Kalesnik, J. (Eds. ), Assessing and Screening Preschoolers: Psychological and Educational Dimensions-Revised, 296-317. Boston, MA: Allyn and Bacon. Vasquez-Nuttall, E., Li, C., Sanchez, W., Nuttall, R. L., & Mathison, L. J. (2002). Assessing the culturally and linguistically different child with emotional and behavioral problems. In Breen, M. J., & Fiedler, C. R. (Eds.) Behavioral Approaches to the Assessment of Youth with Emotional-Behavioral Disorders: A Handbook for School Based Practitioners. (2nd ed.). Austin, Texas: Proed. (Second author with colleagues and graduate student). 2001/7/7 Boston Globe reported their interview of me regarding my findings on writing Chinese and SAT mathematics score, entitled “Putting Chinese to the test: Learning language may boost SATs”, on the front page of City & Region section, pp.B1 and B4. 2001/9/ Chronicle of Higher Education reported my research, entitled “Want to give your children an extra edge on the SAT? Teach them to write Chinese” on Research: WHO KNEW, p. A30. 2001/7/12 World Journal (a Chinese newspaper distributed nation wide in the U.S.), wrote a news report entitled “Writing Chinese and higher SAT Score: Chinese-American Scholar Chieh Li found from her research that writing Chinese may facilitate processing images”, on B2. 1999/1/28 Channel 5 (WCVD, in Boston, MA) aired their interview of me regarding my research on writing Chinese and spatial ability, on 5 O’clock News. 1999/1/15 World Journal interviewed me and reported “Northeastern University Assistant Professor Chieh Li found from her research that writing Chinese may facilitate spatial ability and math”, on B1.